You are here: IKAROS Aircraft Maintenance Training General Kids will be kids! Hopefully! On the 8th of May Agia’s Napa elementary school accomplished an educational trip at the Premises of IKAROS. 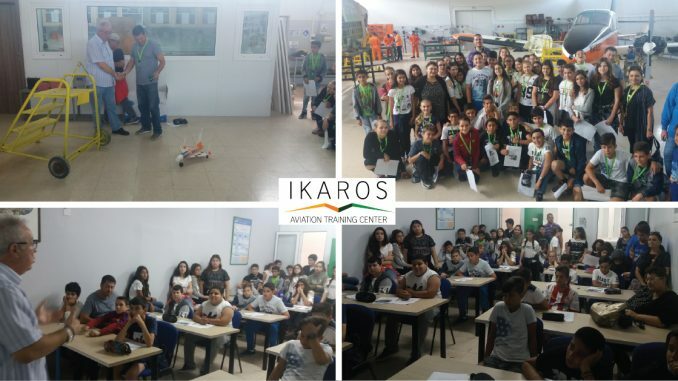 Kids had the chance to get to know IKAROS and ask questions about Aircraft Engineering and we had the chance to receive the most beautiful and touching gift! A model aircraft made by the students! Excellent! You are all approved aircraft engineers!